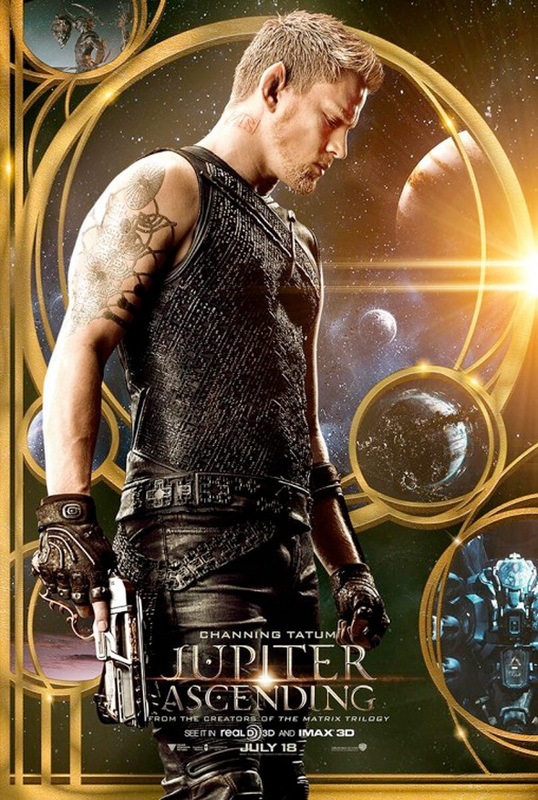 A new trailer for Jupiter Ascending, the latest sci-fi endeavor from Andy & Lana Wachowski, should be arriving anytime now. In the meantime, the first posters for the hopeful summer blockbuster have arrived, and they're not all that convincing. Since the first trailer seemed a bit odd, and the Japanese trailer didn't improve that vibe much, Warner Bros. has a lot of convincing to do in order to get butts in the seats for this original sci-fi flick. Otherwise, the Wachowskis just might have another flop on their hands (which might be why The Matrix is rumored for a reboot). 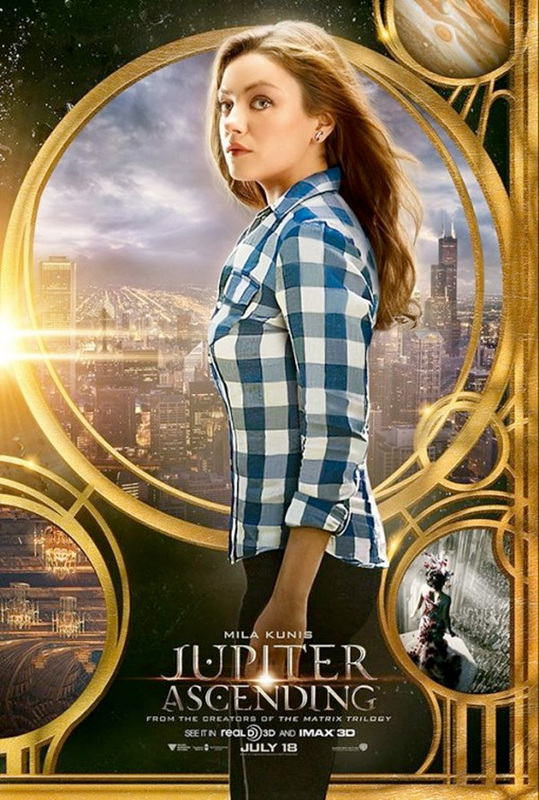 The two posters feature stars Channing Tatum and Mila Kunis, but the aesthetic is an odd, fantasy mix of The Great Gatsby and Cloud Atlas marketing. Look! Kunis' poster is so bad!!! WTF? This is going to BOMB big!!! The Tatum poster is pretty cool. What's with that shirt choice for her? This looks like it was inspired by Alphonse Mucha. That being said, these posters would have looked way cooler painted in that style, instead of another photoshopped poster. Wasn't really sold on the first trailer, but this one has hooked me.